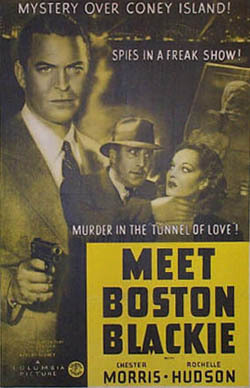 This is the first movie in the Boston Blackie series. Boston Blackie tangles with mystery, women and murder to smash a foreign spy ring in a Coney Island freak show. 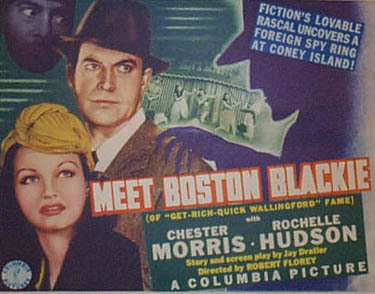 Boston Blackie, wherein the ex-jewel thief and safecracker and his underworld crony The Runt meet a mysterious young lady named Marilyn Howard while disembarking from an ocean liner upon returning from Europe. 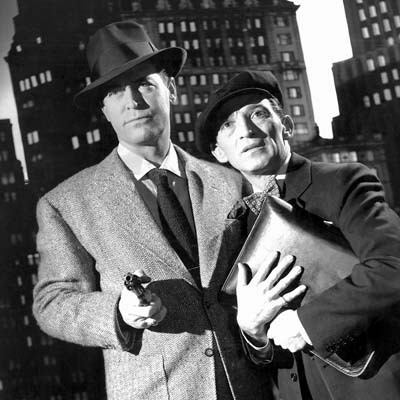 The New York police department, who believe that Blackie stole the Mansfield pearls, which disappeared shortly before he left for Europe. To obtain a set of Blackie's fingerprints, Faraday places Blackie under arrest and confines him to the ship. When Martin Vestrick is murdered Blackies stateroom, Blackie knows Farraday will think he did it so he and The Runt slip off the ship and go looking for Marilyn who they are sure did it. Blackie and the Runt trail Marilyn to Coney Island, followed in close proximity by Inspector Farraday, who thinks (as he always does) that Blackie is somehow tied in with the killing. Blackie finds Marilyn at a Coney Island freak show. Blackie joins Marilyn on a ride through the tunnel of love. When Blackie accuses her of murdering Vestrick, Marilyn claims that she killed him in self-defense. 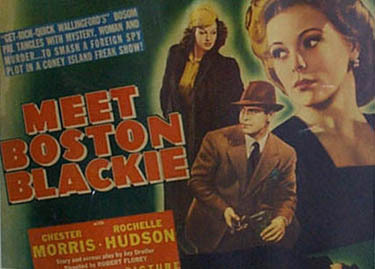 Marilyn is about to tell Blackie about the foreign spies which Vestrick was working with when she is stabbed by two men. With her dying breath, Marilyn mutters something about the show's mechanical man. The two men chase Blackie but he steals a car belonging to Cecelia Bradley and escapes. He tells his story to Cecelia a she wants to help. Before long, our hero and heroine are mixed up with a gang of foreign spies operating out of a funhouse. The Nazi saboteur plot, lots of red herrings, and the relentless police detective out to nab Blackie. It makes for a superior entry in the series.